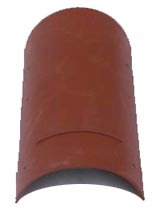 The eave starter is used to provide the proper cant and close off the tile at the eave line. 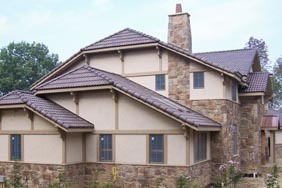 Ridge closures provide the finishing touch at the ridge to close off the top of the tile. 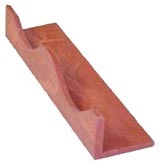 This trim piece is used to cover hips, ridges, and provides a finished gable end.